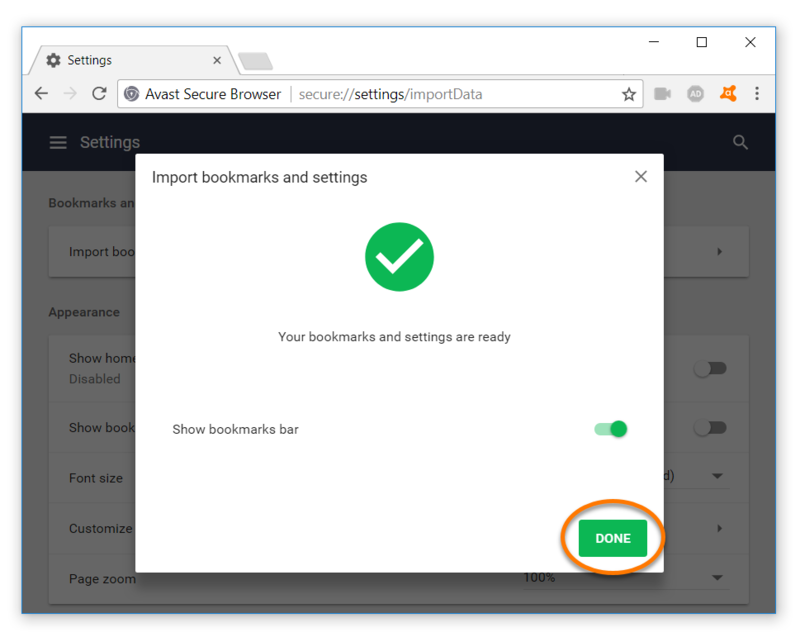 Avast Secure Browser allows you to import bookmarks, browsing history, search engines, saved passwords and autofill form data from other internet browsers. 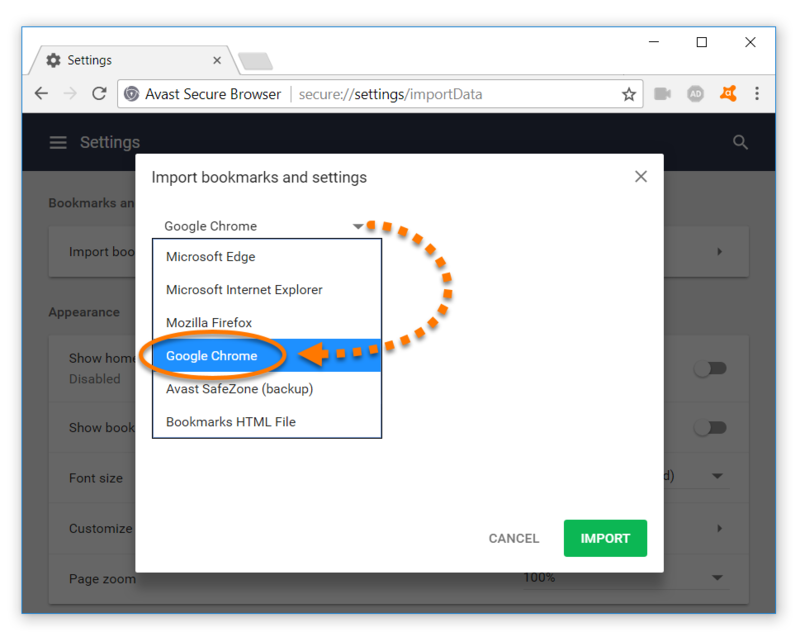 Click the Avast Secure Browser icon on your desktop to open the program. On the screen opened in the browser, select Google Chrome from the drop-down menu. Use the checkboxes to select which browser data you want to import from Google Chrome and click Import. On the screen opened in the browser, select Mozilla Firefox from the drop-down menu. Use the checkboxes to select which browser data you want to import from Mozilla Firefox and click Import. 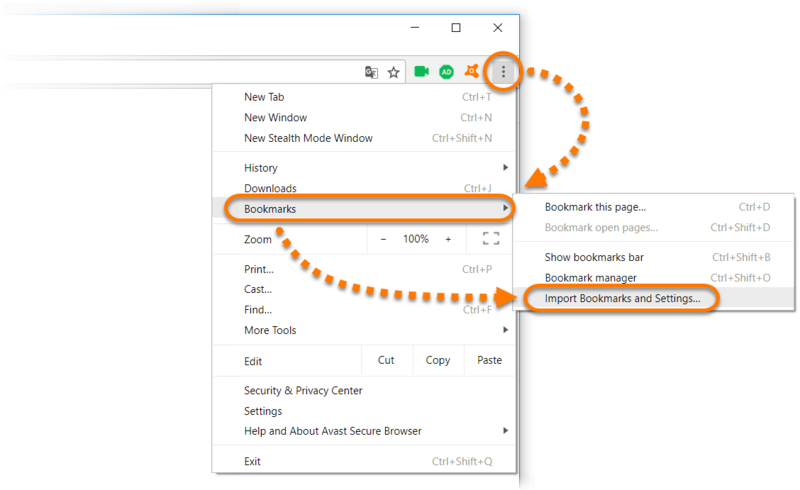 On the screen opened in the browser, select Microsoft Edge from the drop-down menu. 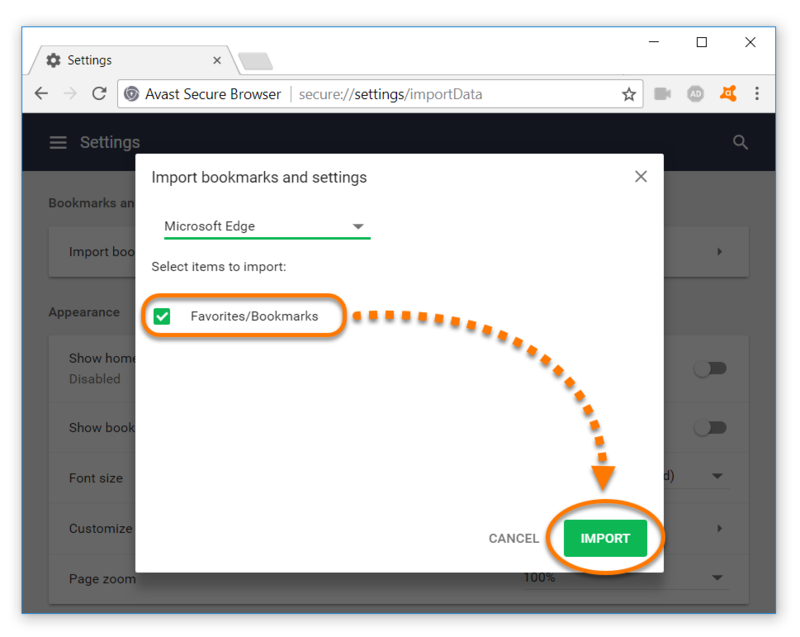 Ensure the Favorites/Bookmarks option is selected for import from Microsoft Edge and click Import. On the screen opened in the browser, select Microsoft Internet Explorer from the drop-down menu. 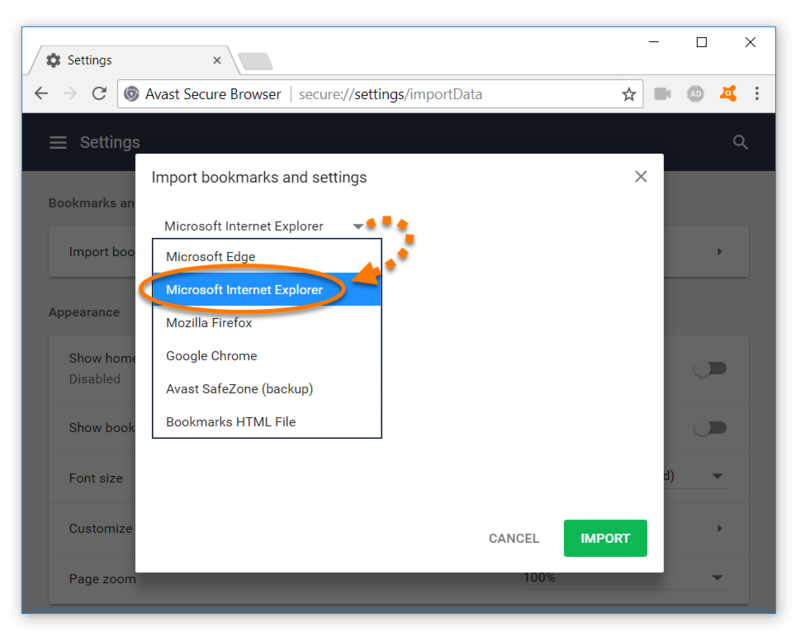 Use the checkboxes to select which browser data you want to import from Internet Explorer and click Import. Click Done when the import is successfully completed. 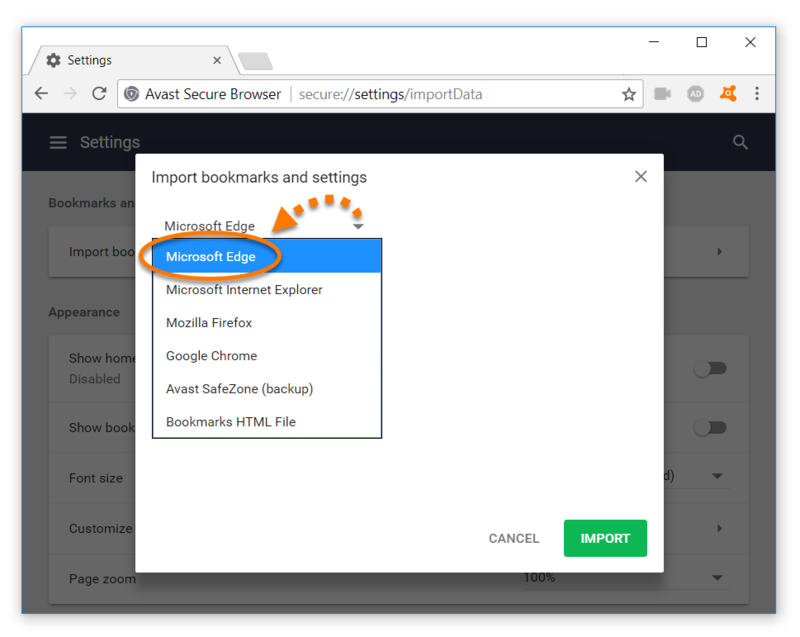 Avast Secure Browser does not offer the following import option if Avast SafeZone Browser was never installed on your PC, or if the operating system on your PC has been cleaned or reinstalled. 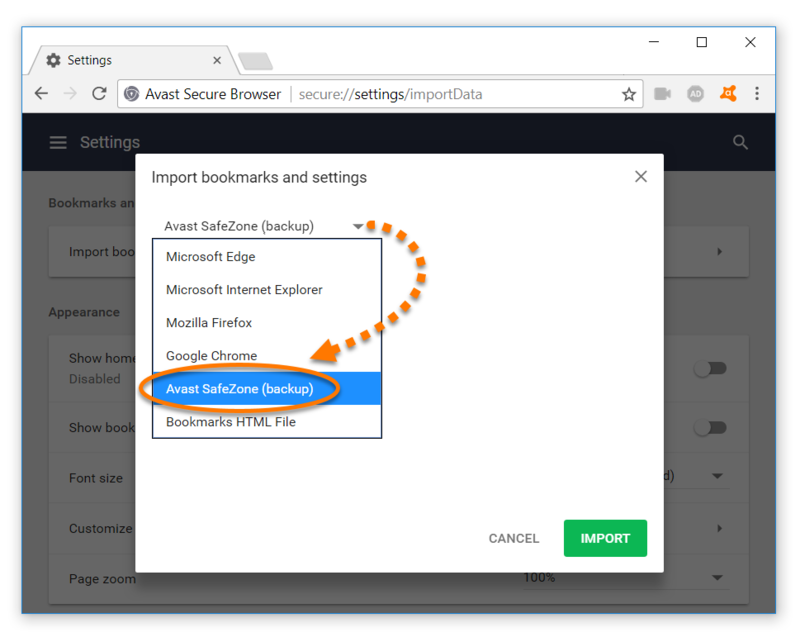 On the screen opened in the browser, select Avast SafeZone (backup) from the drop-down menu. 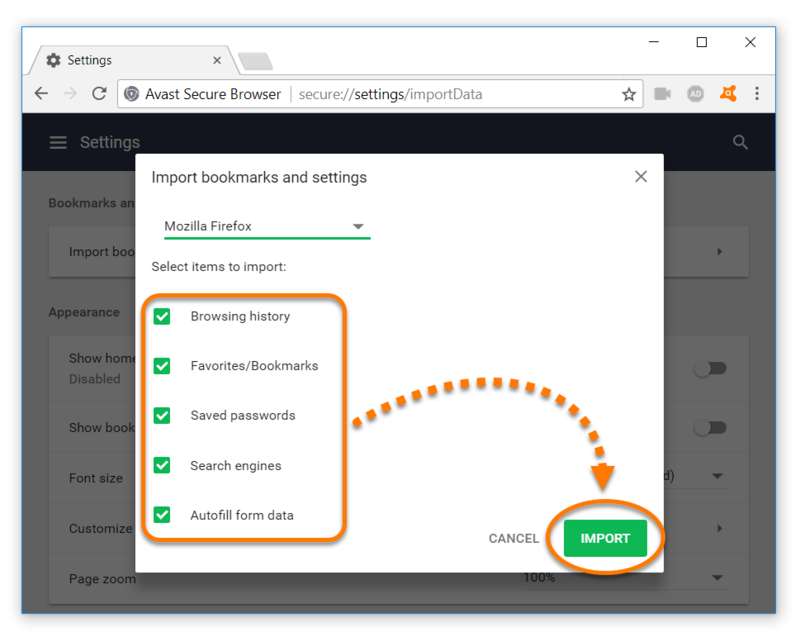 Use the checkboxes to select which browser data you want to import from Avast SafeZone Browser and click Import.